I’m convinced that corn breathes. It exhales on humid summer days when I’m trying to inhale. There’s not space enough for us both. They say you can hear corn grow. I know you can also smell it….but nobody else has talked about it breathing. We certainly BREATHE it! Great pic, too. The corn makes it hard to breathe when we’re out biking! That’s it. 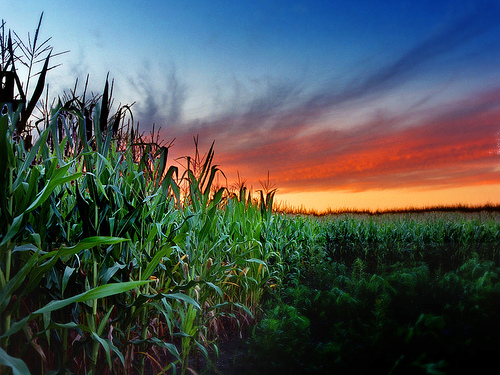 That’s what steals the breath right out of my lungs when it’s this hot and humid and horrific outside – it’s the corn. It’s totally the corn. Ha ha, yes! On the day I wrote this I literally could not take a deep breath outside.